Do you love snuggling a soft and soothing cushion? How about feeling the same in a chair? This crazy idea of a “cushion with legs” was the starting point for Yonoh to roll up their sleeves and get down to work. 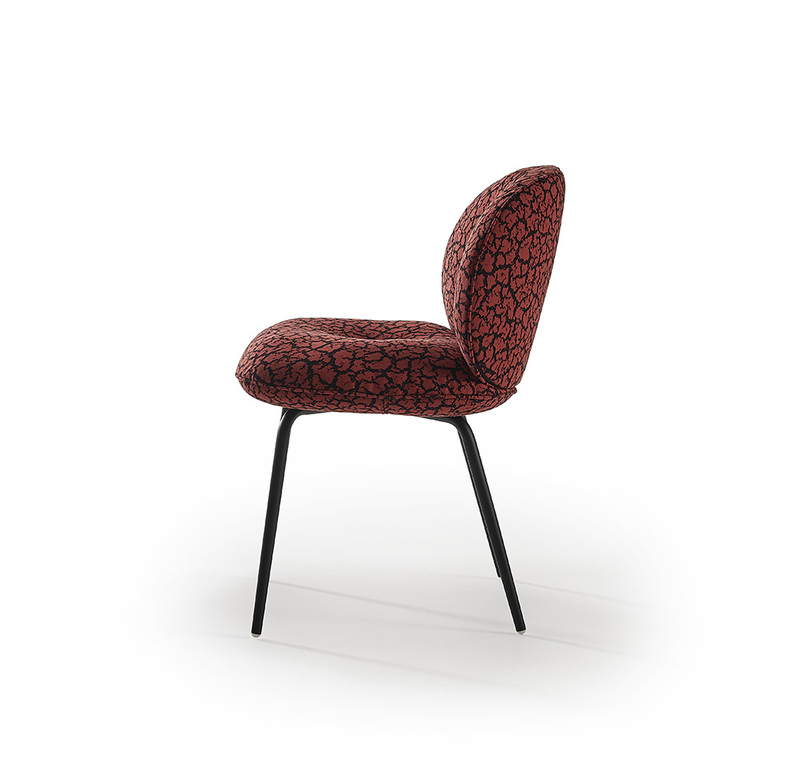 The result is Mullit, an original chair with a formal design. Its proportions are well balanced thanks to the overwhelming volumes of seat and back cushions set against the visual lightness provided by its legs, inviting you to take a seat and enjoy a pleasant experience. To reinforce the fluffy effect, a subtle ruffle has been used on its back, as well as a flange; another nod to scatter cushions. 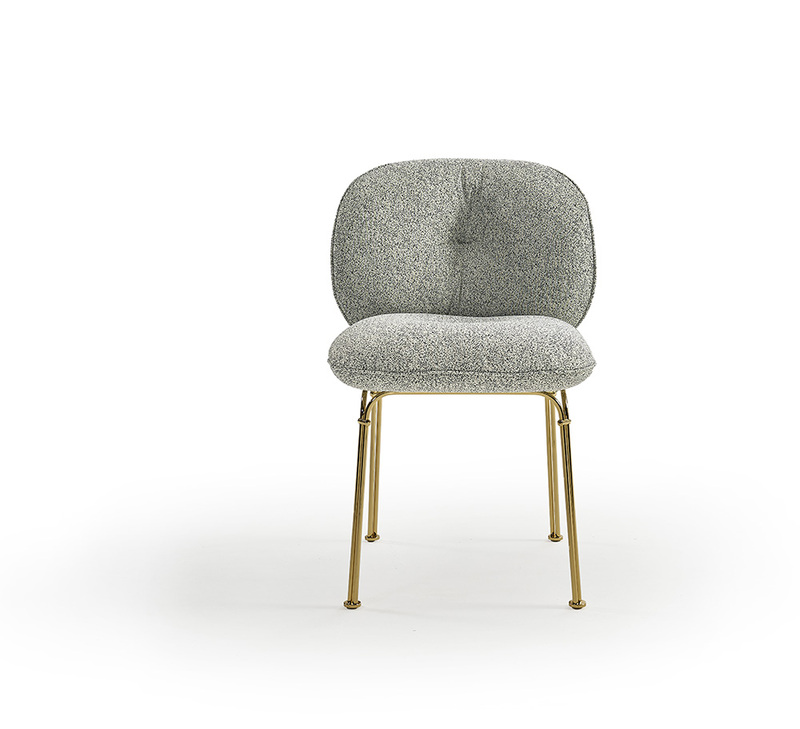 The wide range of textiles and a choice of bases contribute to the versatility of the chair: wooden legs that look like toothpicks, minimalist metal legs or electrolytic plating from a past epoch. 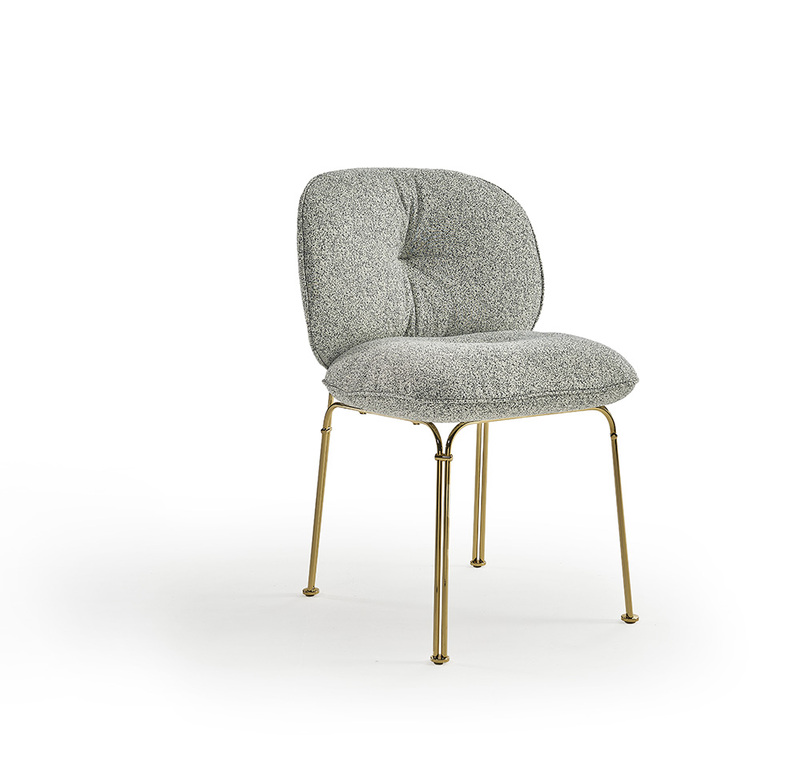 “At Mullit we wanted to get a chair that combined aesthetics and comfort. 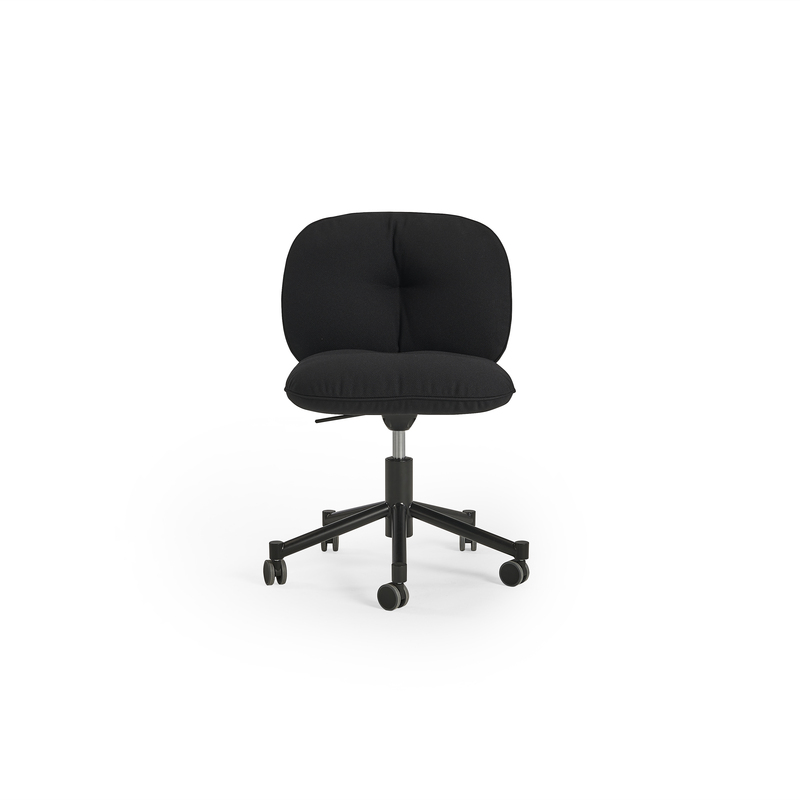 Somehow, we wanted to transfer the feeling of comfort we have when sitting on a cushion to a chair without losing ergonomic needs. Volumes and weights plays a visual effect in a very functional product”.